Saturday, April 18 // noon - 4:00 p.m.
Pine Village at 57 South St. in Jamaica Plain is located in a historic section of the JP business district. Located in the former Harvest Co-Op, this space was renovated specifically to meet the needs of our children. 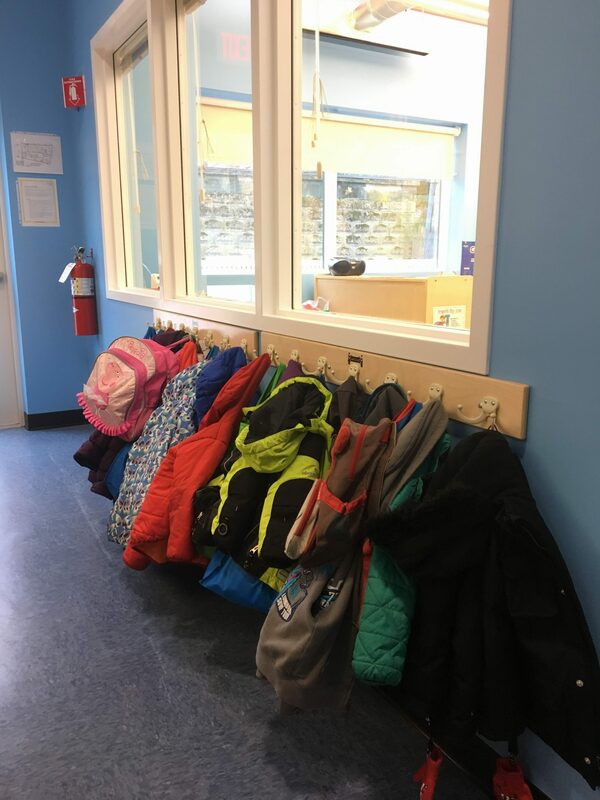 The school is warm, bright and inviting, and is home to seven classrooms for children ages 15 months to 5 years. We are part of a vibrant neighborhood setting and are in close proximity to local parks for outdoor activities. Our two JP locations collaborate often and enjoy a close relationship, as they are only a short walk from each other. This school relocated from Centre Street in January 2017. Joana Araujo grew up in the Azores and moved to the United States when she was twelve years old. She has a Bachelor's degree in Spanish Professional Studies with a minor in Education and is trilingual. (Can you tell that she enjoys learning other languages and cultures?) "Moving to the United States was not easy," she says, "but I knew it was the best decision for me because it will give me the opportunity to have the best education in the world. It helped me develop the adaptability skill because I had to learn a new language and culture to obtain the best education possible." No, it wasn't easy, but she never gave up and here she is, fourteen years later. She believes her story shows that it does not matter where you come from or where you were born but with hard work and dedication you can accomplish anything in life. That is the mentality she lives by on daily basis. Perseverance helped her adopt and adjust into the new culture. Joana's first job was working at the Dunkin Donuts near her house. She says, "Believe it or not, working there helped me shape my abilities to work in a fast paced environment and guarantee that my work was always perfect for my customers. It helped me understand that in order to succeed in life you need to give110% to anything I do." She is a strong believer that happiness is the key to success; that if you are happy, the outcome will always be greater than if you are not. Working at Pine Village since July 2012 (in the Toddler and then Pre-K classrooms), Joana worked in various locations throughout the summer of 2012, which gave her the opportunity to experience several other schools as well as different teaching styles. She has a passion for the Spanish language -- the pronunciation of the words and the dialect -- and she enjoys listening to the students pronouncing new words in Spanish. "From an early stage in my life," she says, "I wanted to be a teacher. I enjoy each age group in different ways! I have always wanted to work with children, and I am thankful for this opportunity where I can influence children’s lives every day." As time went on, she decided to apply to the Director position, knowing it would be great opportunity for her to share the same ideas and skills she learned in the past with other people. "I personally think that this field is a very life-enriching because of the impact we make in our students. Being able to teach them different skills that they will use in the future, it is extremely satisfying." "It is the best reward about my job," she says. "Working closely with the pure souls fulfills my heart of energy with their smiles and actions."